Designed with a simple easy style this is the perfect summer dress to add to your wardrobe. 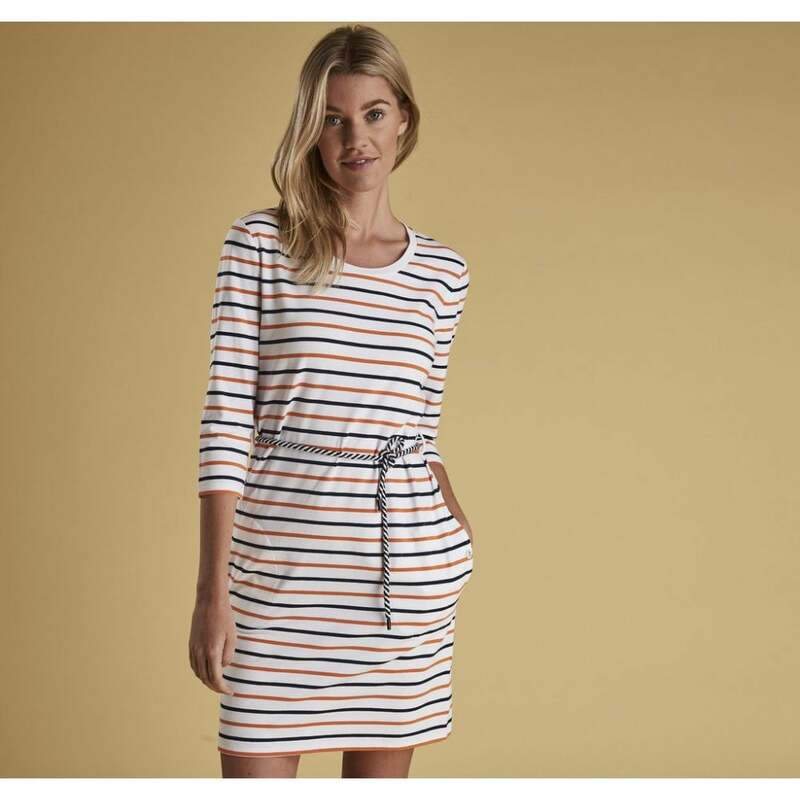 Great for the transition between spring and summer this 3/4 length sleeve t-shirt dress has been designed using a super soft cotton in a three colour stripe design. Part of the Barbour Coastal range this dress features a nautical inspired rope belt. Wear over leggings during the cooler seasons and with bare legs and sandals during the summer months.